Well, it seems the former boyfriend of Dr. Christine Blasey Ford has written an official statement about the fear of flying… rather NO fear of flying. Meanwhile, as Dr. Ford’s two lawyers are trying to tell the FBI how to conduct this supplement investigation, it appears the FBI’s work is adhering to the scope as defined by the White House. If there are other indicators that more interviews need to be completed, the authority comes from the White House. We are now hearing that the FBI report will have ONE copy only and it will be kept in a safe for Senate access. This is as the Democrats don’t want the report released at all to the public as it seems Dr. Ford’s whole story and testimony is collapsing. So, here comes Senator Booker. He among the others knows the whole Dr. Ford plot to derail the confirmation of Judge Kavanaugh is coming apart and is calling for another nominee, whether Judge Kavanaugh is innocent or guilty. You see, the sexual allegations are proving false so the new mission is to declare that Kavanaugh does not have the emotional control or intellectual acuity to be on the Supreme Court. 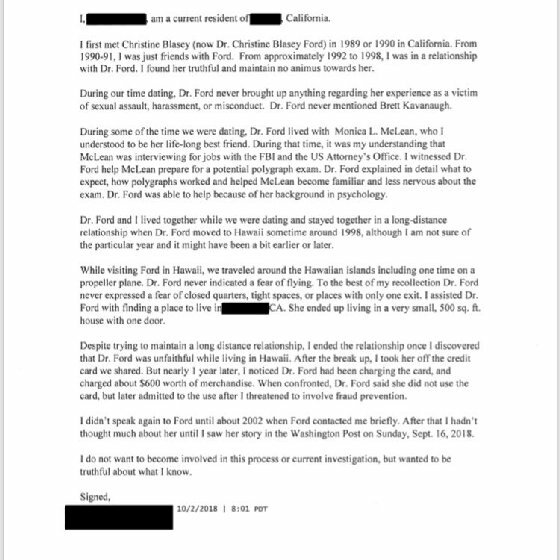 It should be noted that one of the pro-bono lawyers for Dr. Ford is Michael Bromwich. He also represents Andrew McCabe. Another interesting item is that letter the American Bar Association wrote endorsing Brett Kavanaugh… well. hold on. It seems there was an additional letter authored by the President of the ABA, Bob Carlson, calling for a more thorough investigation of Kavanaugh. As a result of that second letter, Ted Olson resigned his membership in the American Bar Association. He was once asked to join the Trump White House and declined. Olson is a Republican and is a founding partner of the law firm Gibson Dunn. As an aside, Ted is a registered foreign agent of Saudi Arabia. It is quite the circle of lawyers in DC and furthermore, the wake of the consequences of the Kavanaugh confirmation is spreading. Now, once this FBI report is delivered to the Senate and kept in the ‘safe’, wonder how many Democrat senators will read the final report? 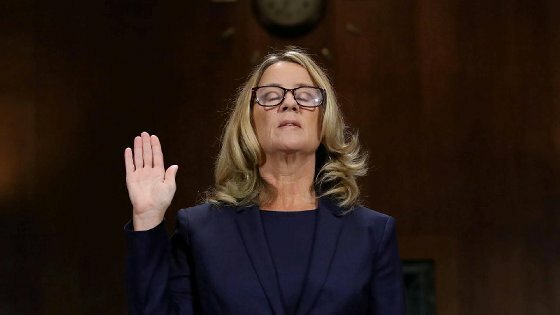 Wonder how many on the left will offer a public apology to the entire Kavanaugh family and perhaps even to Dr. Ford for using her as a willing accomplice? One big question, will this FBI report include the leak or scheme on the actions of Senator Feinstein with this whole scandal or is that a separate investigation?